How do online college courses affect student success? The graph shows the effectiveness of particular courses of study and the extent to which these courses involved the use of online teaching methods and you can see that the online courses are on both the positive and the negative side of effect sizes. Our analyses provide evidence that students in online courses perform substantially worse than students in traditional in-person courses, and these findings are robust to a number of potential threats. We also find differentially larger negative effects of online course-taking for students with lower prior GPA. The results are in line with prior studies of online education in showing that in-person courses yield better mean outcomes than online courses (Figlio, Rush, and Yin 2013; Xu and Jaggars 2013; Alpert, Couch, and Harmon 2016; Streich 2014b; Joyce et al. 2015; Hart, Friedmann, and Hill forthcoming). Our results also suggest one reason why, as other studies have found, for-profit students may have poorer labor market outcomes (Turner 2012; Lang and Weinstein 2013; Cellini and Chaudhary 2014; Darolia et al. 2015; Deming et al. 2016). Online courses substantially change the nature of interactions between students, their peers, and their professors. First, in online courses, students can participate at any hour of the day from any place. That flexibility could allow students to better allocate time and effort, but could also be a challenge for students who have not learned to manage their own time. Chevalier, Dolton, and Lührmann (2016), studying incentives and student effort, find evidence consistent with this hypothesis. Second, online courses change the constraints and expectations on academic interactions. Professors and students do not interact face-to-face; they interact only by asynchronous written communication. Thus, students likely feel less oversight from their professors and less pressure to respond to professors’ questions. In the standard principal-agent problem, effort by the agent (student) falls as it becomes less observable to the principal (professor): see Jensen and Meckling (1976). Third, the role of the professor is quite different. Online classes standardize inputs, which traditionally vary between professors. For example, lectures are replaced with videos. 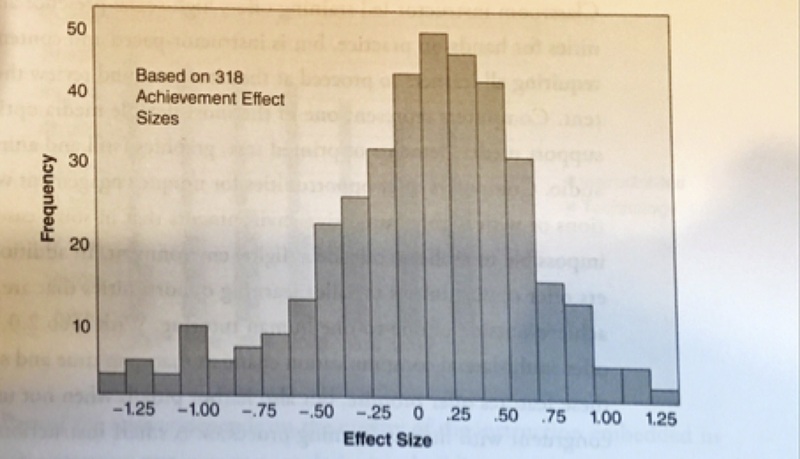 Between-professor variation in student outcomes may shrink or may widen depending on how professors choose to use the time saved by not lecturing. Or summarized: relation is key for learning? Pingback: Lessen opnemen of niet in het hoger onderwijs? | X, Y of Einstein? Pingback: Lectuur op zaterdag: little sleepers, retrieval practice, bias en 280 tekens | X, Y of Einstein?